Ressource is always extending its range of paint to offer you new decorative effects. Our engineers can experiment to their heart’s content in our in-house research laboratory thus creating new paints. Our latest creation is our Floor Paint. Drawing on more than 900 colors from the Ressource collections, everyone can discover a true talent for staging and create subtle harmonies by extending the color, delimit a space by providing a different atmosphere with a hue soft or sustained, or discover a new perspective to a room with a touch of Painting Sol. 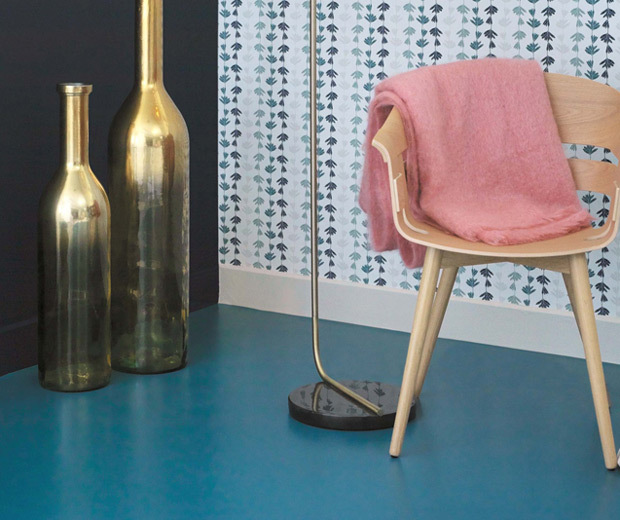 Suitable for wooden floors, tiles, vinyls and concrete floors inside including garages, the Floor Paint will give free rein to the imagination for a unique decoration. With a slightly satiny appearance, the Sol paint is very resistant to light to medium traffic. Ressource wants to awaken everyone’s imagination, release audacity and put color at the heart of creation. Discover the 19 collections of full tones Ressource developed in collaboration with a color expert and contemporary creators such as Sarah Lavoine, Serge Bensimon, Robert Gervais, Annabelle Vermont or Philippe Model.